KIND-AUSPICE INDUSTRAL CO., LTD was established in 1993, located in screw town – Kangshan, Kaohsiung, Taiwan. We had ISO certificates, and also member of “Taiwan Industrial Fasteners Institute” and chairman of “Taiwan Fastener Trading Association”. Our major products are raw material of steel, wire rod, steel wire, screw, fastener, bit, forming tooling, which could be applied in construction, engineering, furniture, and automobile industry. With great effort of General Manager - Cooper Tsai, and all staffs, the company upscale day by day, which have now been plunged into global market to approximately more than 100 customers in 30 countries. The top 3 export area is North America, South America, and Europe. Our turnover is about eighteen million US dollars annually. We continually develop new products and promote Taiwan fasteners to the world. For expanding the business, we relocated to a new plant at Bihong St. Kangshan Dist. Kaohsiung City. The new plant has extensive space, including marketing department, production management department, and quality control department. Establishing logistic warehouse area, following up the latest industry progress, and improving all operation progress provide better services. Besides, we purchase variety of inspection instrument, and professional print design software and hardware to control quality for customers. Keep Our Team Focused on Continuous Improvement. 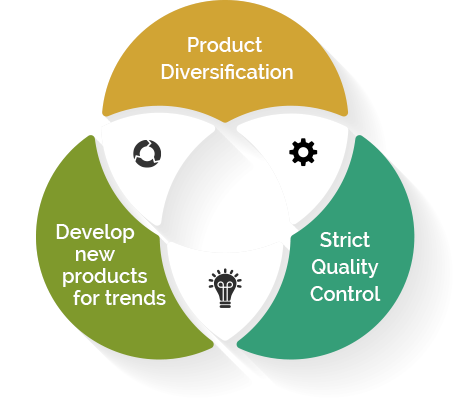 In the changeable global marketing, Kind-Auspice is always with innovative and active altitude to seek the most beneficial solution for manufacturer, seller, and buyer.